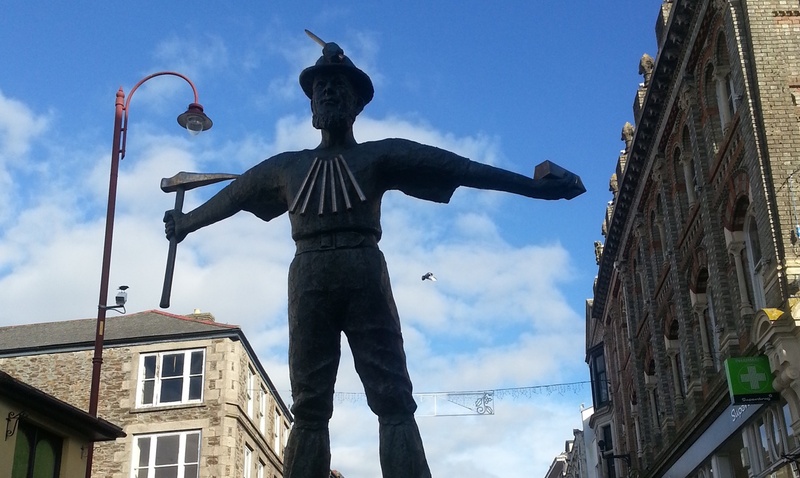 Standing with his arms flung wide, as if poised to launch himself from his plinth, the statue of a miner looks down the steep hill of Redruth’s main street. In one hand he clasps a pole pick. In his other, palm turned skyward, he grasps a shiny ingot of tin. But there is no work for this bronze man. His purposeful stance is inane. By the time he was placed here in 2008 he merely represented all that the town had lost, soon becoming a memorial to a grand and vanished past that few of the shoppers passing beneath him wished to be reminded of. Mining was the source of this area of Cornwall’s wealth but also its undoing. After the industry collapsed this region became one of the poorest in the whole of Europe. For more than 400 years mining was in the very souls of many Cornish communities but today that seems very distant from the sad realities of vacant buildings, high unemployment and poverty. These days the only industries thriving in Camborne and Redruth appear to be the charity and pawn shops. When South Crofty tin mine closed in 1998 it was the final blow in a long and painful decline for the mining of metals in Europe. There had been some desperate but futile attempts to save it. One campaign even asked every man, woman and child in Cornwall to donate £1 of their own money to help the mine stay open. After all, its closure wasn’t due to lack of tin; there is still an estimated 44,000 tons waiting in the damp, dark rocks a mile beneath the traffic. But nothing could be done. 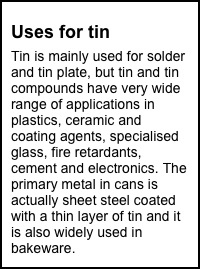 The price of tin was too low and the costs too high. Nearly 20 years later, looking down from the lofty granite outcrop of Carn Brea, the dark needles of numerous mine stacks still punctuate the view. These red brick-built columns are as much a part of this region’s landscape as the soaring Atlantic cliffs, ancient church towers or bramble-covered hedgerows. This area of Pool, Camborne and Redruth was at one time known as the richest square mile in the world. The scramble for rare reserves brought the Cornish enormous wealth and saw them and their culture spread across the globe. 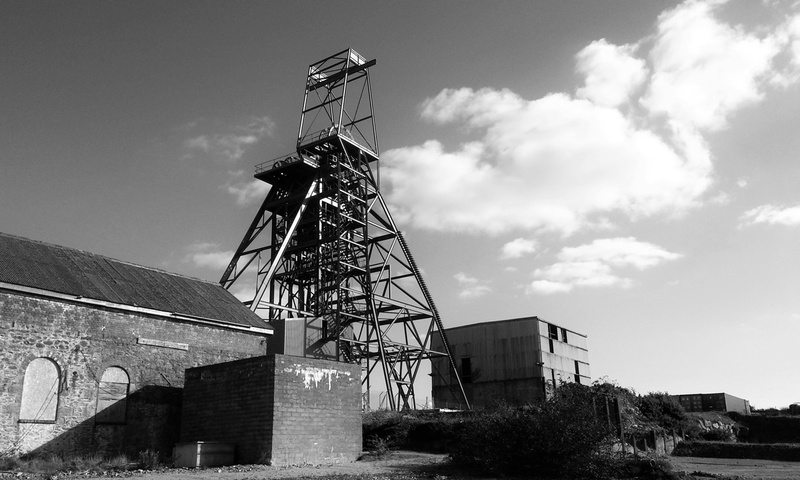 Cornwall has always maintained a strong connection to its mining heritage and to a certain extent a mining network still remains – most obviously in the form of Camborne School of Mines. The college is one of the few places in the country where industry professionals are trained. 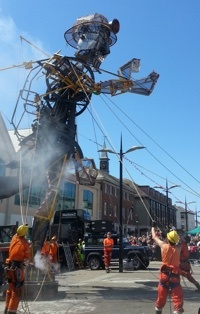 Over the summer a 10m tall mechanical puppet of a miner known as the Man-Engine was made to celebrate Cornwall’s mining past and attracted enormous crowds as it toured the county. However, when the latest in a long line of investors began promising a miraculous revival of South Crofty, many locals were less optimistic. Holman Brothers Ltd, a factory producing mining equipment, was founded in Camborne in 1801. This company’s products were sold worldwide and in its heyday it was employing between three and four thousand men. At the end of each working day, the mass exodus of miners was more like to a scene from the industrial north of England than a quiet Cornish town. The business continued to expand through the 19th and 20th centuries. Then in 1968 the company merged with Broomwade to form CompAir Holman. At first the business seemed secure but then, sadly and startlingly, all connection with Camborne ceased in 2003 when the company announced that it was to close its factories there. It was a painful blow to an already beleaguered region and severed another of the county’s mining connections. The new owners of the site, Strongbow Exploration Inc, who acquired the mine this spring, are as confident as their name implies and say that they will be opening South Crofty for business in as little as two years. This is no philanthropic enterprise. It’s happening because the price of tin is approaching an all-time high. The world’s largest exporter of this commodity, Indonesia, has recently been affected by new trading laws and more stringent environmental regulations. This, along with the flooding and subsequent closure of its smelting operation on Bangka Island, has led to a 69% year-on-year drop of the country’s exports of the metal. In addition, China, the world’s largest producer of tin, has also increased its import demand for it. The increase of 75% in 2016 comes as it too faces environmental inspections and its open-cast mining operations slow. All this has led to the price of tin rising to over $20,000 per ton in August 2016, compared to a low of $5,000 in 2005. Richard Williams, the Chief Executive Officer and President of Strongbow Exploration Inc. since 2015, said of the company’s new enterprise: “We believe that South Crofty represents one of the best tin opportunities currently available globally.” Strongbow also bought up tin properties in Alaska last year. Williams recently stated that he was hopeful the scheme would provide new jobs and give a boost to the local economy. “If we get this into production I am sure it will bring other investors into the region,” he added. Further down Redruth’s high street from the bronze miner there is another sculpture. It is an incongruous pack of hounds made from moulds of miner’s boots. This cluster of figures, which cost an “unjustifiable” £30,000, serves as another symbol of what mining here has become – the stuff of nostalgia and gimmicky art. Perhaps is time for some positive thinking. “It will be great for Cornwall to have an industry that’s not tourism. Real jobs for people in the area,” commented David Cornish, 34, from Truro. “If it did reopen eventually [local people] might find renewed aspirations,” added Rob Sticker, 42, from Helston. Until something changes or Strongbow realizes its objectives, there is every possibility that Cornish tin mining will remain just the subject a glossy TV drama series and inspiration for some “grotesque” and over-priced statues of dogs.